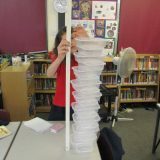 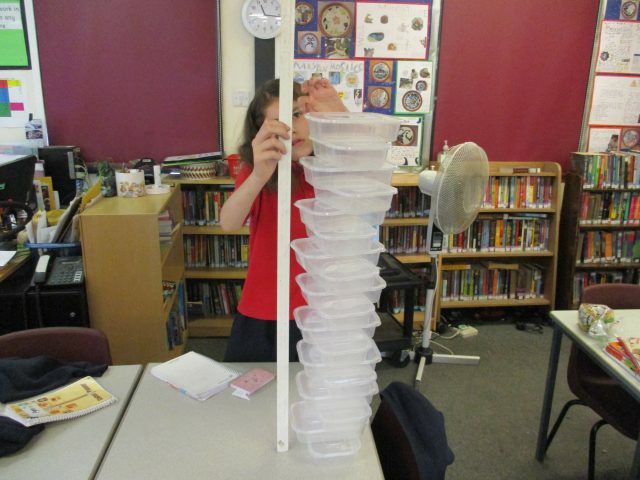 This year Eagle Owls entered the Tallest Jelly competition. 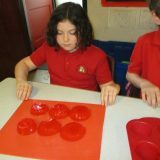 The whole class took part in the competition. 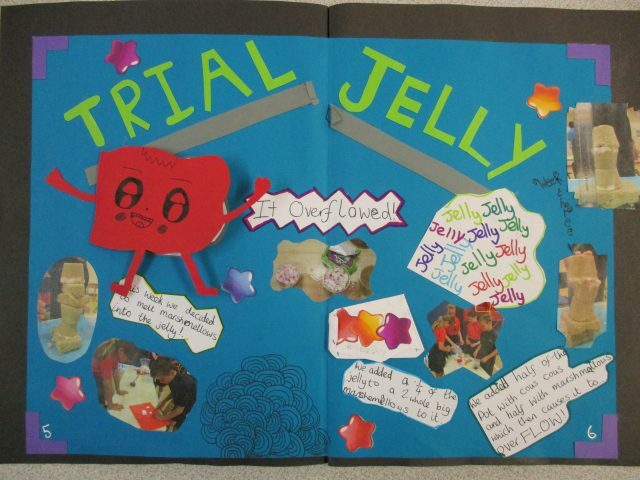 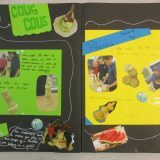 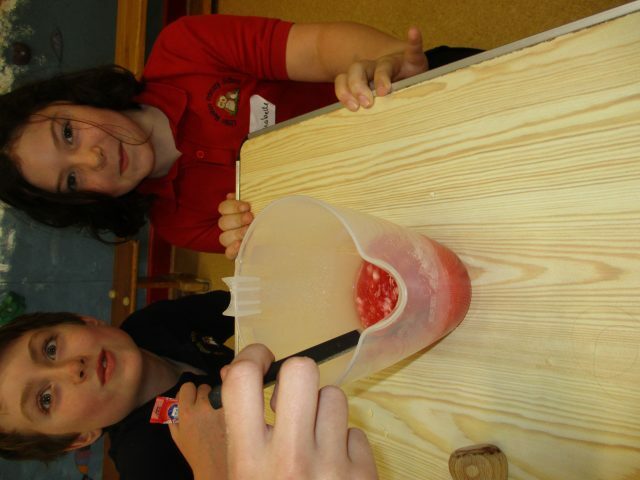 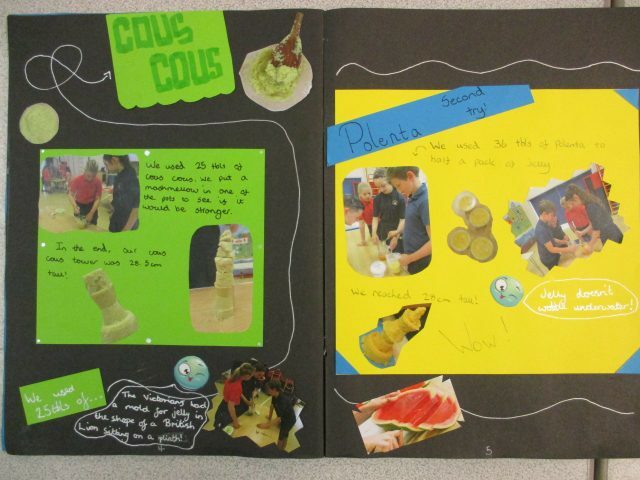 We worked in teams of around four, each team completing the experimentation and workbook collaboratively. 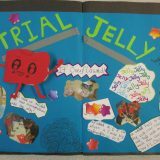 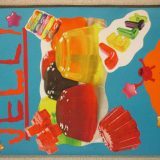 In week one, we began by using just jelly to prove to ourselves that we could improve on how well jelly alone could stack. 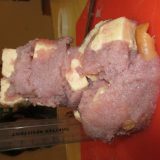 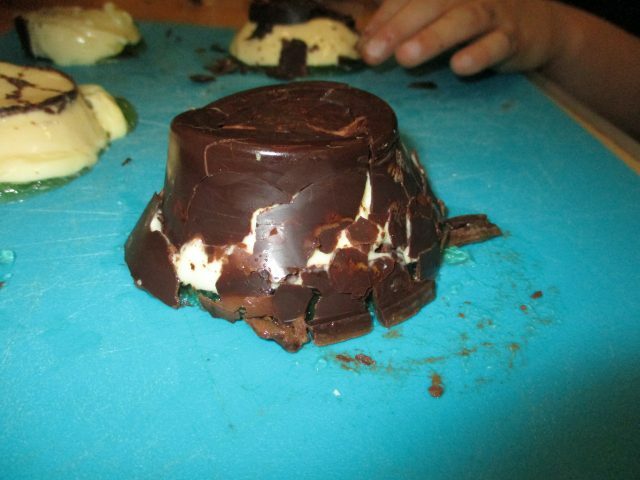 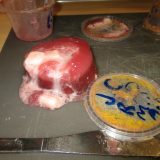 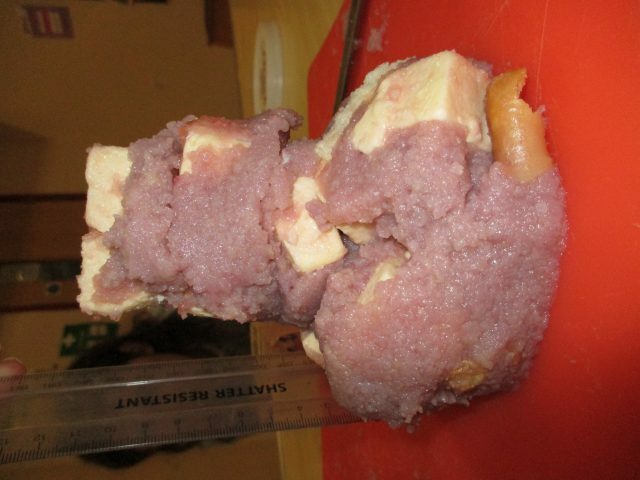 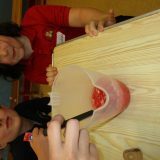 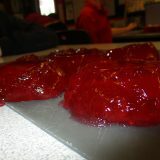 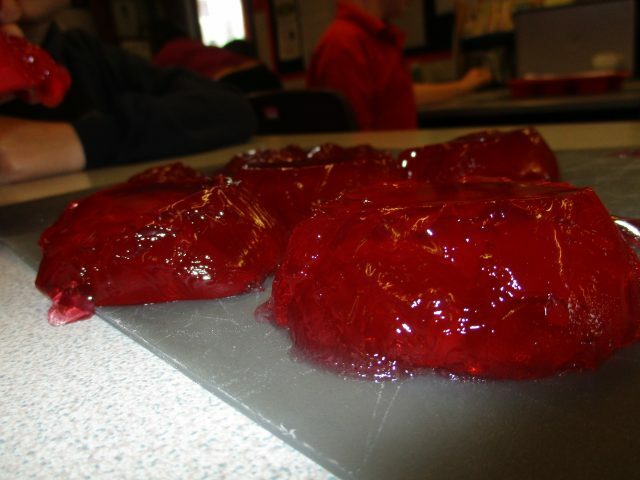 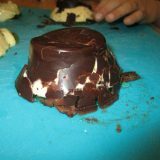 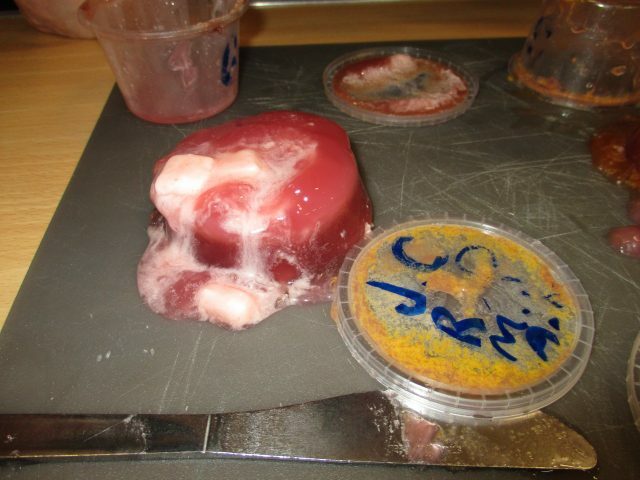 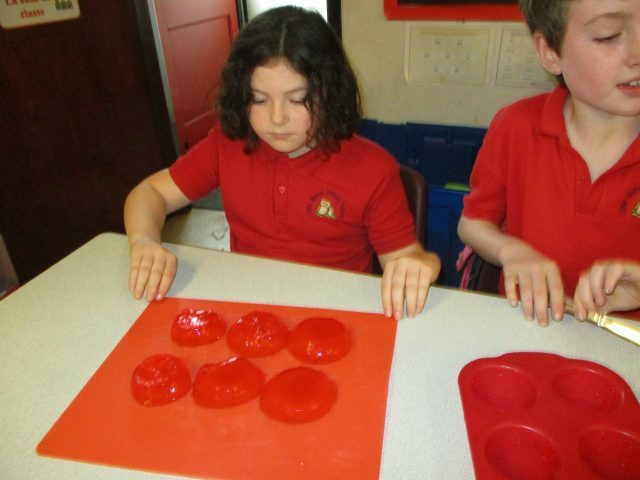 As our photos show, this would not be hard as the jelly collapsed! 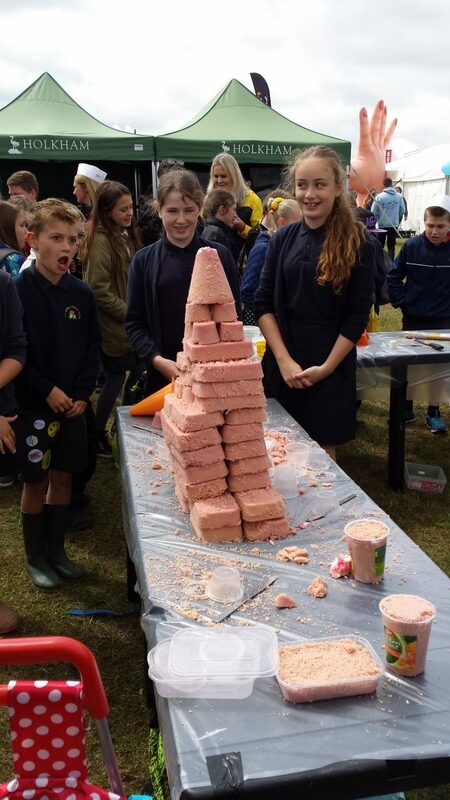 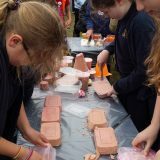 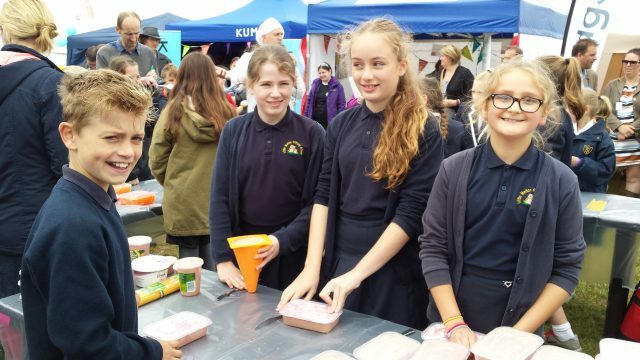 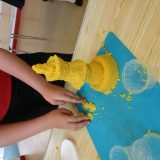 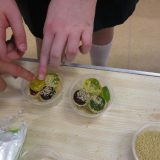 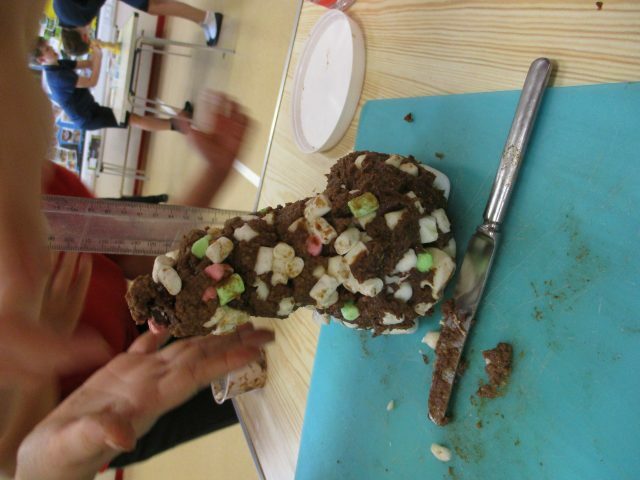 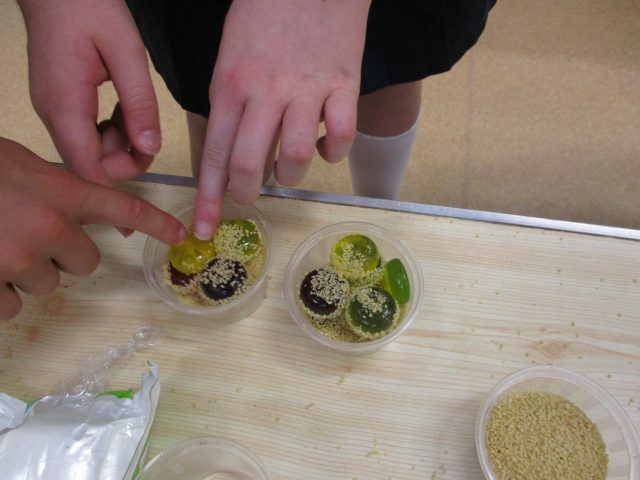 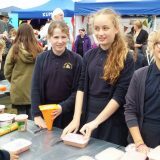 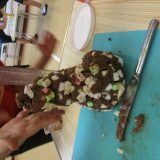 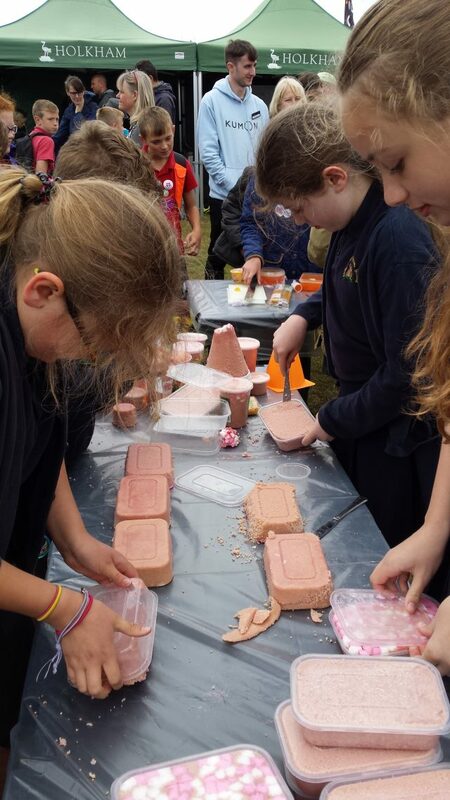 After that, each team tried their own combinations ingredients, each week refining their choices, until the final week, where we had a class competition to decide which team would get to go to the regional final at the Royal Norfolk Show. 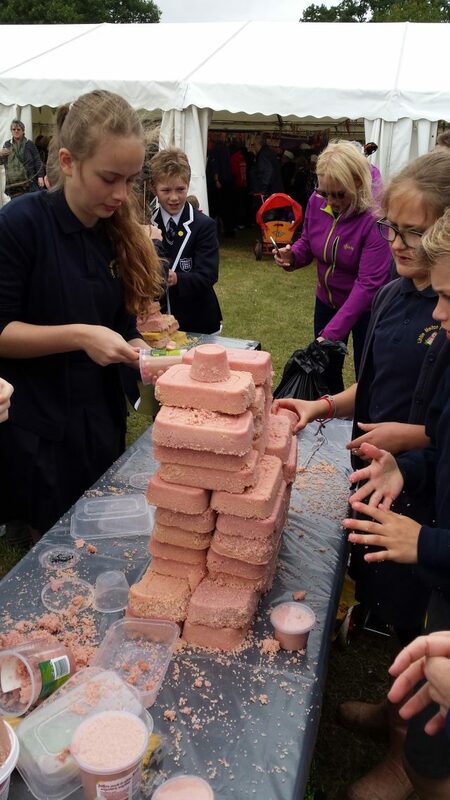 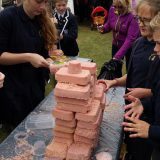 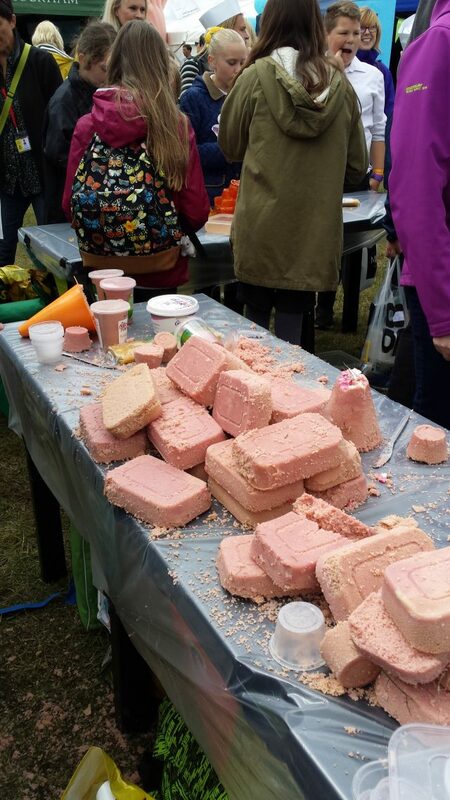 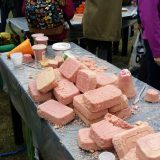 At the show, unfortunately our excellent tower of 63cm, did not withstand the wind and wonky table, and fell before the 10min requirement was up! 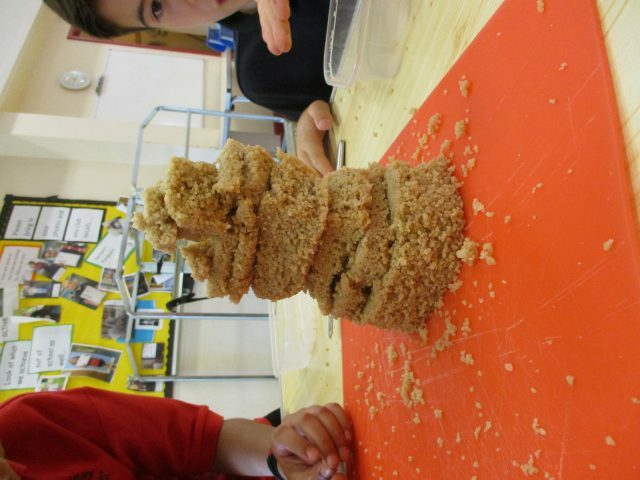 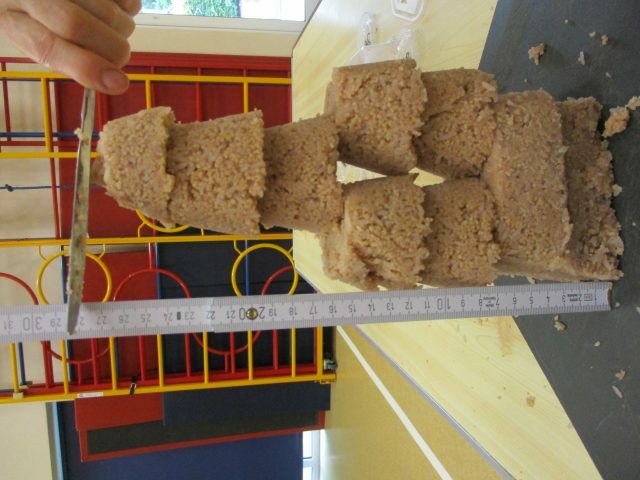 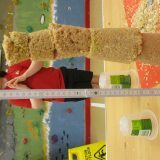 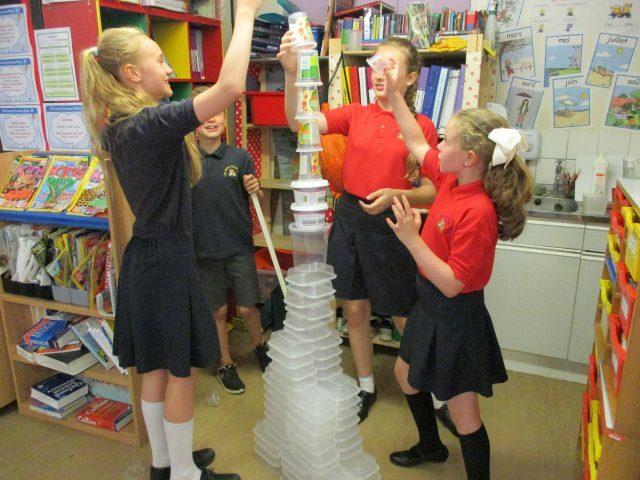 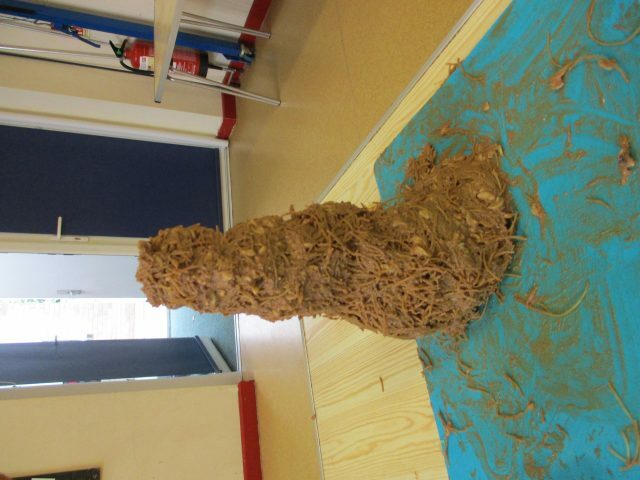 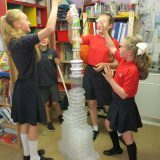 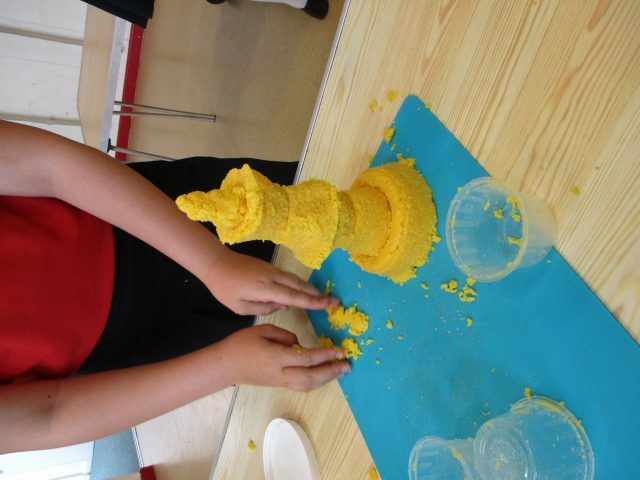 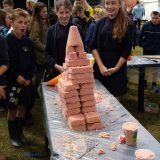 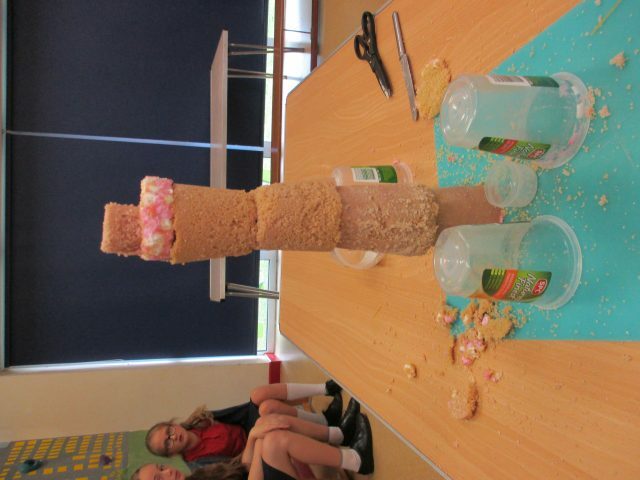 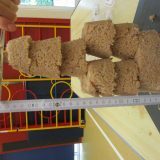 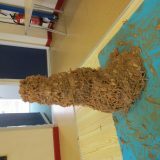 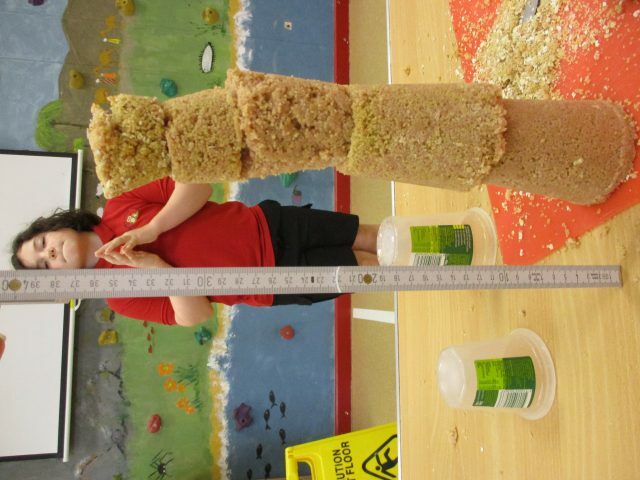 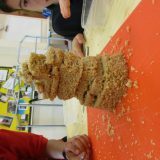 But we still came a creditable second and our collapsed tower still measured 19cm! 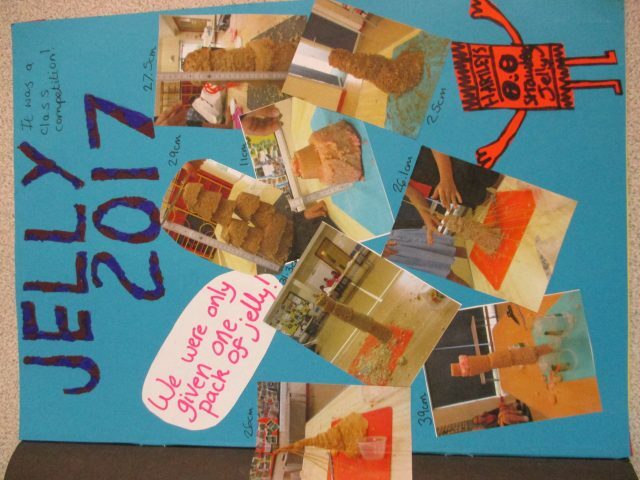 Our team’s workbook won in the workbook competition, awarding the four children of the team a certificate and a £20 gift voucher each! 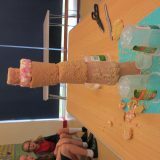 Fantastic work!!! 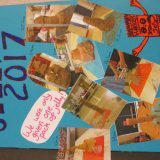 We are now looking forward to next year, when we hope to do even better!